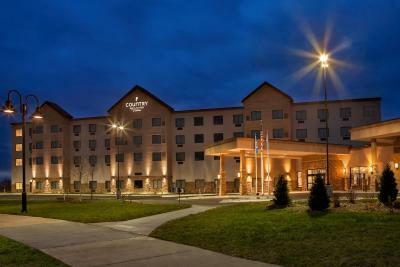 Lock in a great price for Country Inn & Suites by Radisson, Bemidji, MN – rated 9.1 by recent guests! Felt the restaurant food to be very pricey for the amount you received. We always like the Country Inn & Suites in Bemidji. Clean and very comfortable! Staff was super helpful! Breakfast was better than usual with some different items. Yogurt was mix your own with fresh chopped fruit. Several types of eggs. Good sized room. Comfortable bed. Good price. The bed was very comfortable. The pillows were excellent, I would like a few myself! The breakfast was excellent, very pleased with the variety! It wasn't the same breakfast the nest morning witch was nice although it was delicious. We were very pleased with our stay and would definitely recommend this hotel! clean. great view of the lake. great staff. good adjoining restaurant. easy location. We got there on Thursday evening and got upgraded to a lakeview room! I liked that the key cards were proximity scanned which were so much easier than having to slide your card to get in. Easy access stairs. Indoor access to tavern next door if you didn't want to go out to eat. Pool and spa opened till 12am! Can walk out the back entrance straight to Lake Bemidji. Nice clean room (down pillows!) and upscale furnishings. The staff was pleasant and knowledgeable. The breakfast had lots of choices and tasted good. The bed was very comfort and the room was clean and quite. 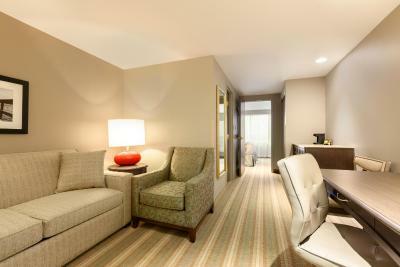 The facilities were clean, the staff was nice, the room was comfortable, quiet, and more upscale than I'd expected. The shower, in particular, was quite nice. The ambience and location was amazing...right next to the Lake. The Lobby and seated area had a beautiful and relaxing feel...felt like I was on vacation, rather than business! Country Inn & Suites by Radisson, Bemidji, MN This rating is a reflection of how the property compares to the industry standard when it comes to price, facilities and services available. It's based on a self-evaluation by the property. Use this rating to help choose your stay! 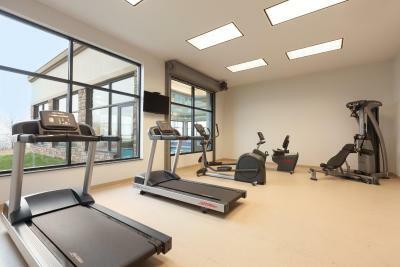 Offering an indoor pool and a fitness center, this hotel connected to the George Neilson Convention Center is located in Bemidji. Free WiFi access is available. 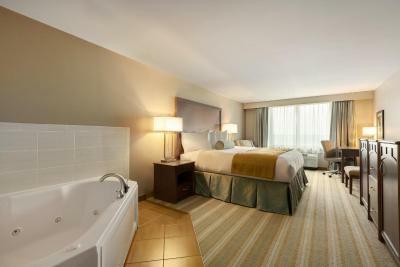 All rooms feature a cable TV at Country Inn & Suites by Radisson Bemidji. There is also a coffee machine. Some rooms have lake view. Extras include bed linens and ironing facilities. 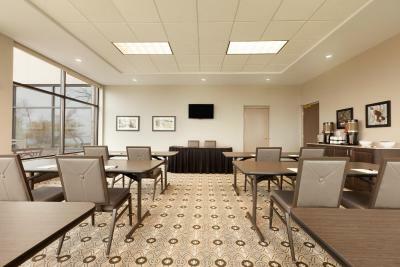 At the Bemidji Country Inn & Suites By Radisson you will find a 24-hour front desk and free newspapers in the morning. The property offers free parking. A hot and fresh breakfast is served every morning to all guests. The hotel is 14 mi from Buena Vista Ski Area. Nymore Beach on Lake Bemidji is 0.6 mi away. Paul Bunyan & Babe the Blue Ox is 3 minutes’ drive away. 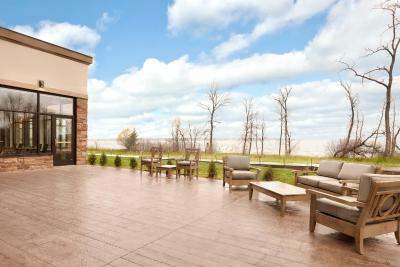 This property also has one of the top-rated locations in Bemidji! Guests are happier about it compared to other properties in the area. This property is also rated for the best value in Bemidji! Guests are getting more for their money when compared to other properties in this city. 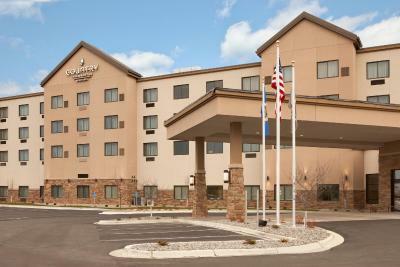 When would you like to stay at Country Inn & Suites by Radisson, Bemidji, MN? This room with a view features a cable TV, coffee machine, iron, and a hair dryer. This room includes a cable TV, coffee machine, iron, and a hair dryer. This room with a view features a cable TV, coffee machine, and a hair dryer. This room includes a cable TV, coffee machine, and a hair dryer. 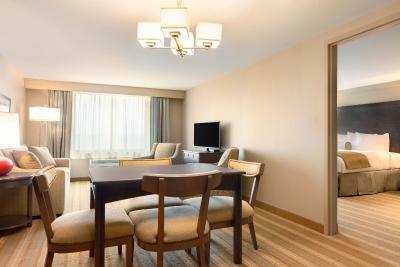 This spacious room with a view features a cable TV, coffee machine, and a sofa bed. Extras include a hair dryer. 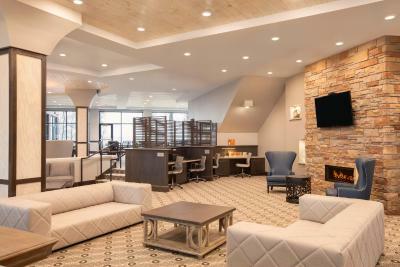 House Rules Country Inn & Suites by Radisson, Bemidji, MN takes special requests – add in the next step! Country Inn &amp; Suites by Radisson, Bemidji, MN accepts these cards and reserves the right to temporarily hold an amount prior to arrival. Country Inn & Suites by Radisson, Bemidji, MN accepts these cards and reserves the right to temporarily hold an amount prior to arrival. We did not eat breakfast at the hotel this stay but the location and setup was very nice. Like all the natural light. 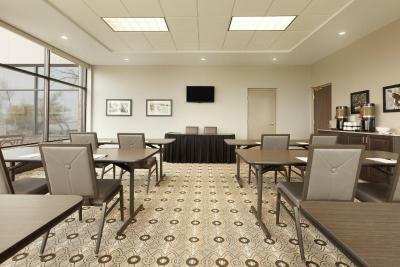 We were attending a special event and had tried several times to get a room previously but it was booked. We were put on a waiting list but never were called. We did finally get in by finding a room on booking.com. We were surprised to learn that they actually did have openings but no one at the Country Inn told us up front how to get in by using a booking site. Once we got in the stay was excellent. That motel is connected to event center! Very Friendly, Clean and comfortable. Cleanliness... breakfasts were varied & wonderful. Could use more staff; check-in was slow because only one person to check in our three person party and the phone was ringing off the hook. Another customer was waiting behind us in line, too. 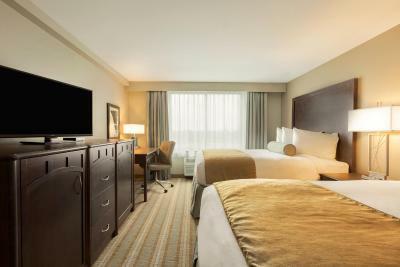 Comfortable beds, lake view, spacious rooms. We're stayed over 2 nights a d no one changed our room. I expected garbage removed, bed made hotel check.... got nothing. Parking wasn't available right by side door. I didn't have a code to the wi-fi and didn't ask about it so that was my fault. everything was perfect. No issues.